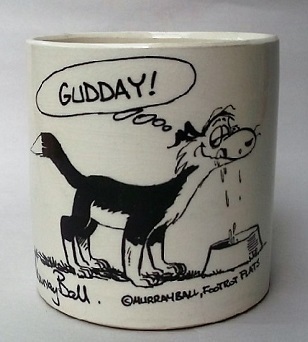 Kat & Co. posted Jim Brock's Titian mug a while back now but because it formed part of the Orzel graffiti mugs topic it has been lost to Orzel. Here I repeat Kat's introductory post of the Titian mug in its entirety. 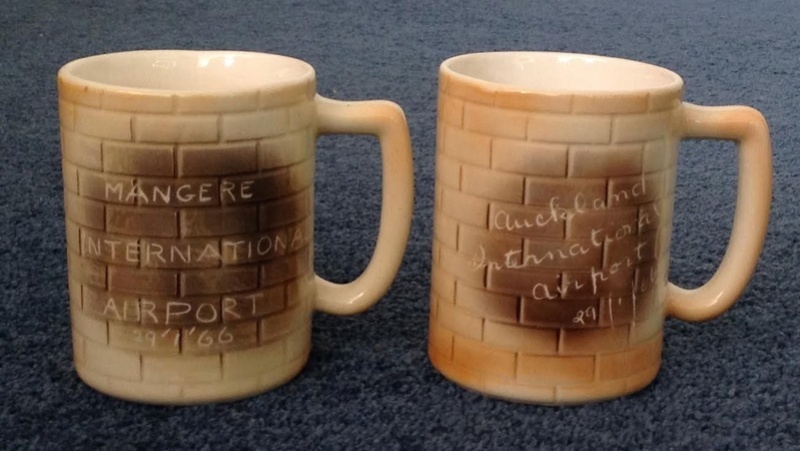 Kat & Co. wrote: Jim found an Auckland International Airport Opening 1966 Mug! it has no marking to base. I should say here that I actually saw Jim's mug for sale at the Kerikeri Hospice shop well before he bought it and somehow recognised it for what it is (which will only be from info I saw on this site), but at that time it was for sale for $28 (or maybe it was even more), which I thought perhaps stupidly thought excessive and let it go only to have Jim buy it at a reduced price of $12 a couple or few weeks later. 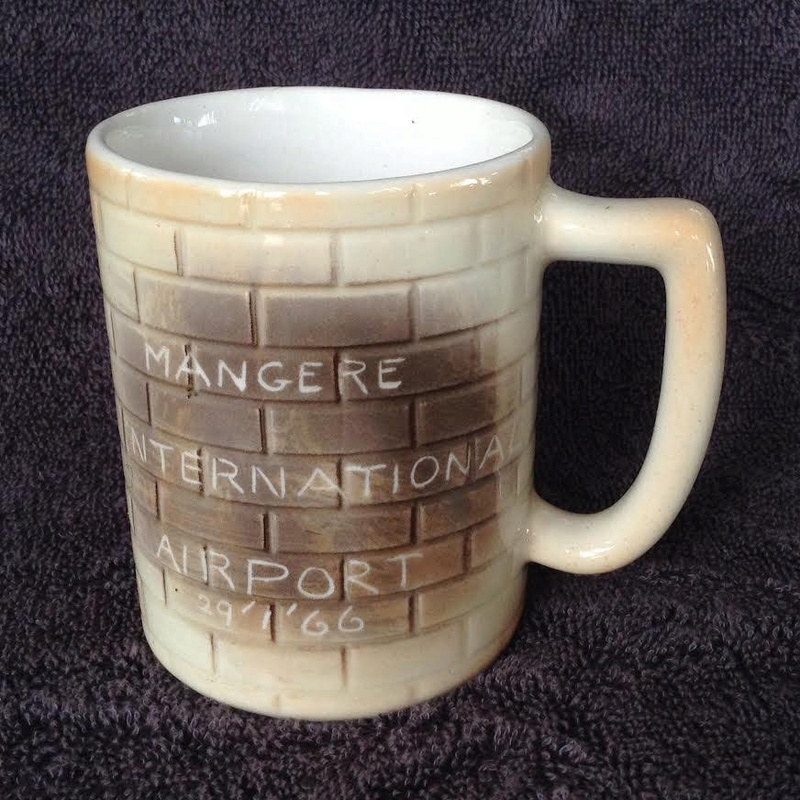 The reason I am starting this new topic is that on Saturday I picked up this Titian (unmarked) Auckland Airport mug in pristine condition from New Lynn Sallies ($3 and very happy to pay that) but even as I picked it up I thought that it looked somehow different from my memory of Jim's one. On checking the photo here I saw that the writing on mine is block capitals, but not only that, mine reads "MANGERE INTERNATIONAL AIRPORT ..." instead of Auckland! I originally wondered whether my mug is even Titian, not just because of a lack of marking but because to my ear it sounds like stoneware rather than earthenware. I sought Ev's opinion yesterday at the Crown Lynn swap meet. Ev thought that it had quite a high ring to it too, but then sent me over to ask Cam Brown who was just five meters away! Cam was happy to identify it as his work. He offered no explanation for the differences, but then we are talking about something that happened over 50 years ago. I will compare with Jim's one later this week as he dropped by Saturday as I was packing the car for Te Toi Uku and I said that I would visit this week. 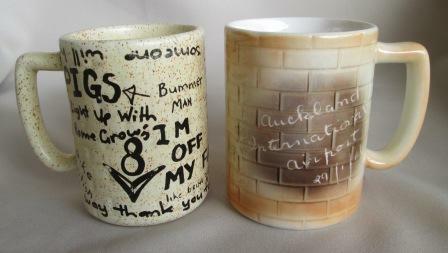 I will post my mug in the gallery too as a variant of Jim's mug. Great post Jeremy and an excellent find. This mug was included in the Titian negatives, but I cannot work out what the writing is on this shape. As you had some success with the Shell bowl I will send you a photo of the negative and when you get time you can try to work it out.